The Wibrain B1 (Affiliated Link) is the 5th small UMPC that I have been lucky enough to test, I have tested the Vega from Raon, the Everun from the same company, the OQO 02 and the Fujitsu U1010. And even after I have seen all these devices I still surprised to see how a full side PC is shrunk into that small space. 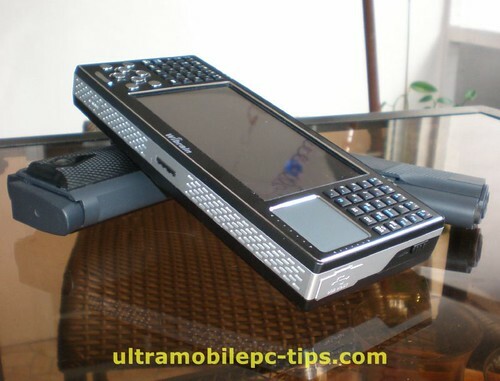 The Wibrain B1 has a retro design that could give a not so good impression when it's seen in pictures but once you have the unit in your hands and you use it for a while that changes for a better overall opinion. What differentiates the Wibrain B1 from all these other devices? 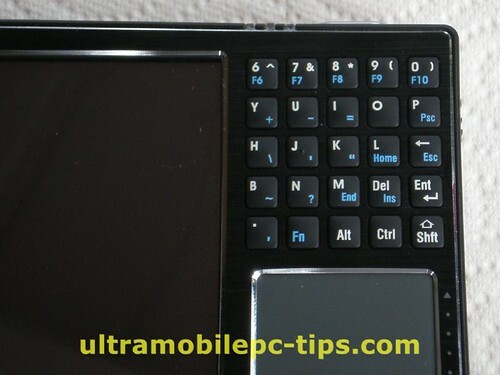 The split keyboard, something only seen so far within the UMPCs in the Samsung Q1U device. A mouse pad. 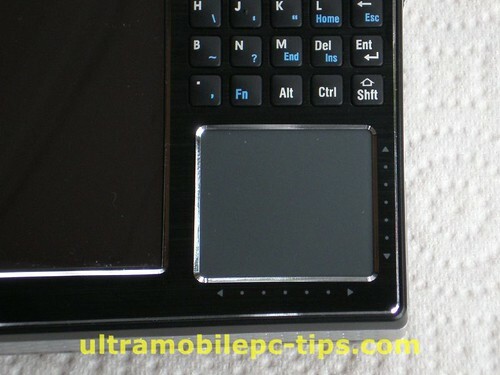 Only the Everun has something close but smaller and it's not exactly a touch pad. Web Cam, something only present in the Fujitsu U810. The split keyboard is in my opinion well designed. The letters F and J are marked to help the finding by touch the other letters like a real QWERTY keyboard. The addition of 8 more keys for Page UP, Page Down, Arrows keys and Left and Right Mouse keys is something that helps a lot the usability of this device. On top of that you have a vertical and horizontal scroll strips in the bottom side and right side of the Mouse pad. Another interesting features. During my tests I gave the B1 to one of my coworkers and after opening a game on it and holding the device like a PSP he asked me: is this the future for PSPs? Running on XP Home Edition I was not expecting to see a bad performance on this device. But I think that installing XP Home is a huge mistake. 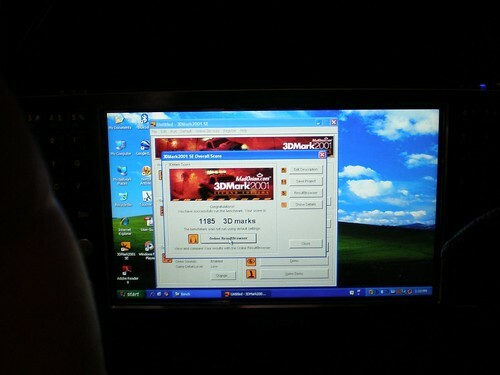 This device is perfect for XP Tablet PC 2005 Edition without this OS, you are cutting the capabilities of this device in 25% at least. I ran a few tests and took a few pictures of the results and I was surprised to see that these results were a little bit higher than what I have seen in other devices using the same processor. I think that probably this higher results are due to the fact that beside a trial version of McAfee Antivirus, Wibrain has not installed any other crapware on this UMPC. Something that we all appreciate. 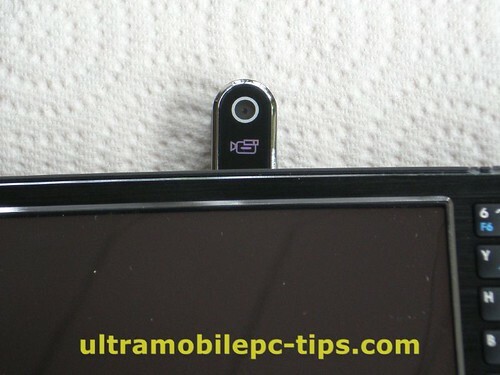 This device from the point of view of performance can be put between the Everun and the OQO 02. Probably around the same performance or a little bit higher than the Fujitsu U1010 would have had if it was using Windows XP instead of Vista. 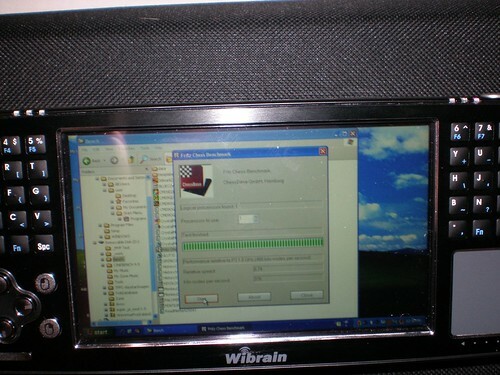 It runs warm and Wibrain is providing on it a little tool where you can set the processor fan speed. 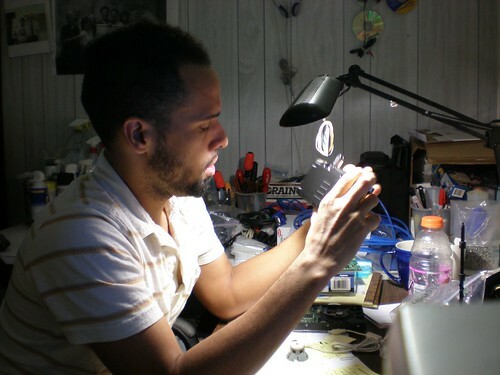 Keep in mind that if you set the fan to cool the processor the most it can then it becomes noisy. I did not run any special test to find the battery life on this device but from my own experience on it, browsing the web via WiFi, I would say that it was close to 3 hours. Playing a video expect something close to 2:30 hours. 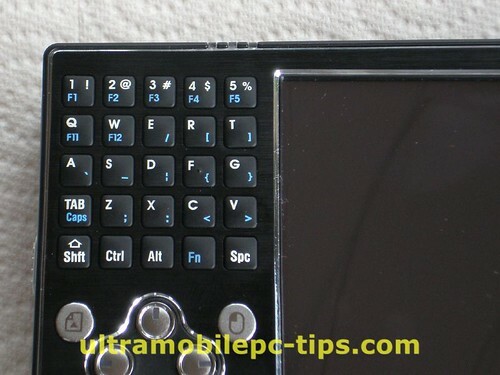 The screen on this device is very sensitive, very good when you are using programs like a GPS Navigator but not so good when you are handwriting on it though with this screen size you can avoid easily to touch the screen accidentally while writing. The default resolution is 1024x600, a resolution that most of the users ask for but that I really find for my old eyes to difficult to work with in this display size. 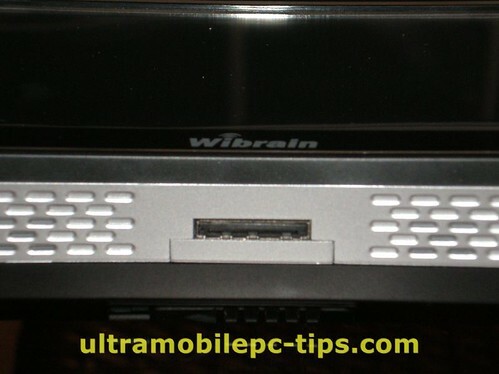 The Wibrain B1 comes with a VGA Cable that connects to the bottom port on the unit. The sound on this device is not too good probably because of the speaker size. Would I recommend this device? Yes, I would recommend the devices to those that do not want to pay the price for a OQO 02 but want something with that size and about the same performance. 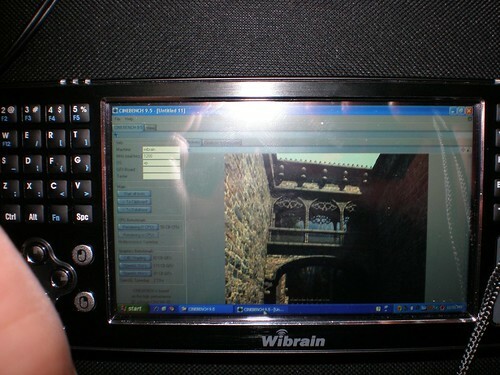 You can find more pictures of the Wibrain B1 here. My Kindle is getting closer!